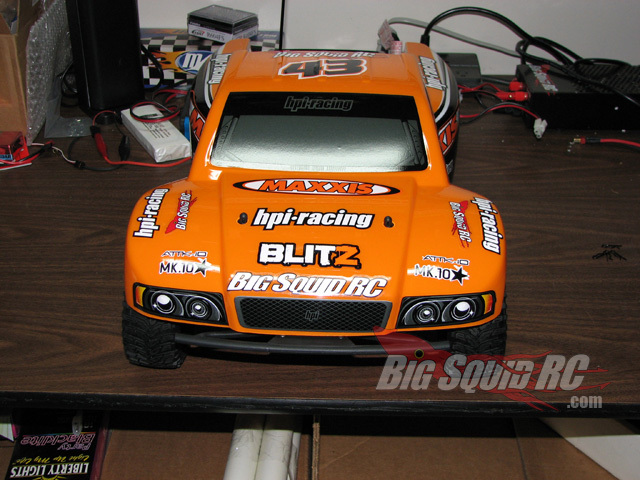 HPI Blitz Review « Big Squid RC – RC Car and Truck News, Reviews, Videos, and More! Finally, the review you have been waiting for! 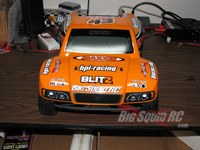 The HPI Racing Blitz Review! 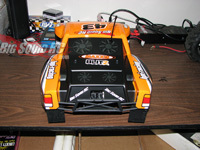 The vehicle itself is a 1:10 scale, electric 2wd, short course truck. As you know, short course trucks are all the rage these days, and there are a lot of them on the market. 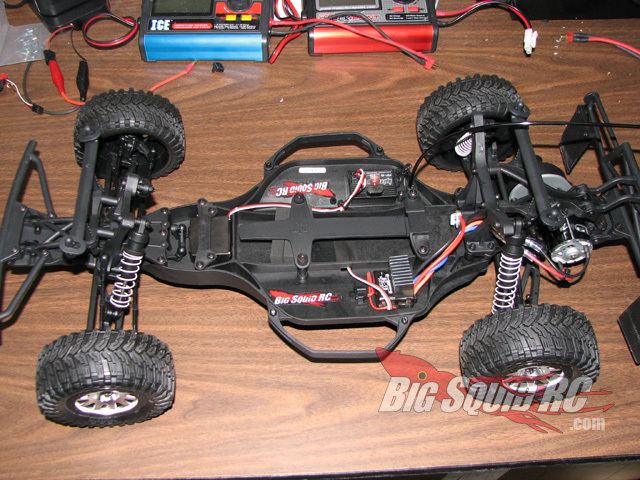 Is the HPI Blitz the right truck for you? 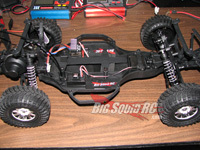 Out of the box, the HPI Blitz comes RTR, fully assembled and with a radio. You will need to supply your own batteries for the truck and radio. 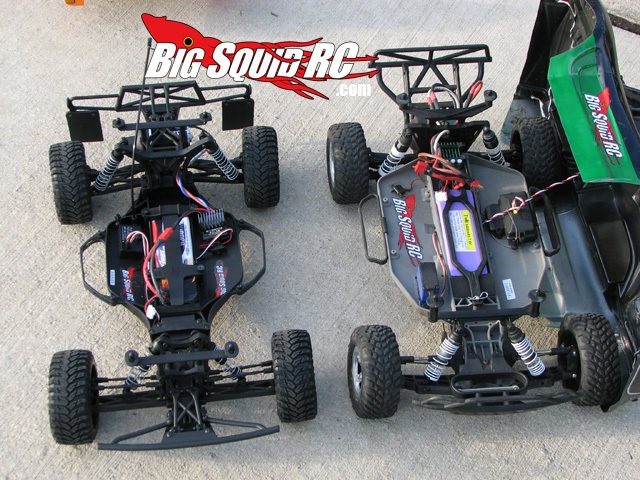 We used 7.4v LiPo’s for all of our testing in the truck. While on the outside, the truck looks like most of the other short course vehicles, under the hood you can see that the truck is based on the HPI E-Firestorm Platform. This is a good thing. The durability and driving quality out of the box has been top notch. 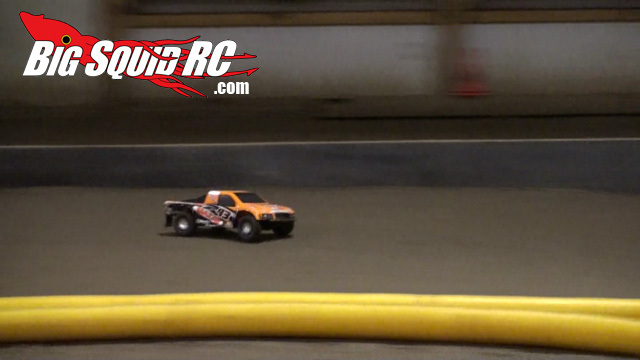 With the stock setup, our top speed with our LiPo was right around 30mph. That seems to be about the average speed for the short course trucks, so as far as speed goes, you’ll have no problem competing with all the other guys. As for looks, the Blitz is a true winner! The scale realism, the front and rear ends, the mud flaps, and an amazing paint job all really set this truck apart from the crowd. When we first opened the box, there were a lot of Ooohhh’s and Aaah’s. It really is an awesome looking truck. Out on the street we put it to our normal testing, cones, ramps etc. The truck handles surprisingly well. And I’m not talking ‘a little better’ than the competition, I’m talking, this thing can take turns at speeds none of the other trucks can take with the stock setup! While the body sits at the same height, the center of gravity (cg) is lower then the other short course trucks out there allowing it to take turns without any worry of traction roll! At high speeds the back end would kick out a little long before I had to worry about rolling the vehicle, and this was a good feeling. The only thing we noticed that could probably be improved on here would be a stronger steering servo. Even after tightening down the server saver a little, you were still sometimes left with wanting a little more power to make the turns at higher speeds. 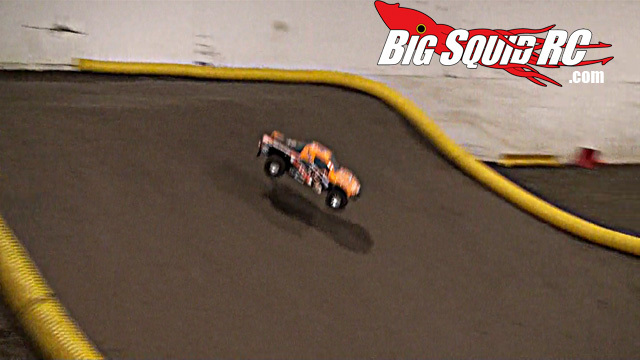 On the track and in the air, the HPI Blitz handles like a dream! 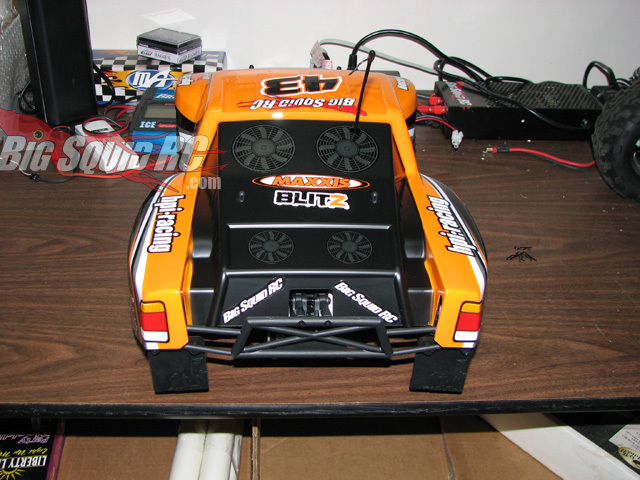 Where other short course trucks gave you that feeling that you were trying to fly a kite, the Blitz was always smooth, straight, and well balanced! I couldn’t believe how fast and smooth the truck was getting around the test track. Every time we take it to the track it gets lots of attention, and we get lots of questions about how we have it weighted, or how it’s set up compared to other sc vehicles, and every time I tell people it’s just a stock truck, running the stock setup. 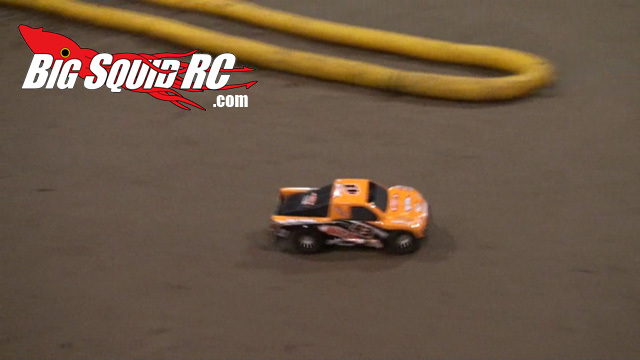 Most of us here at Big Squid RC have driven the Blitz on the track, and everyone agrees the truck handles great. Even the traction of the tires was better then expected! 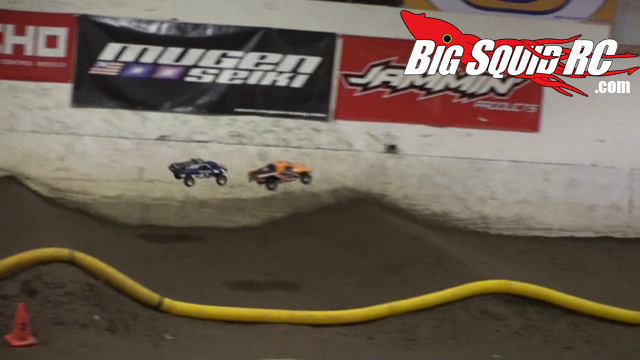 If you are looking to get into the 2wd short course race scene, and the HPI Blitz is allowed in the class, we highly recommend it. As far as durability goes, the truck has also done very well. The only issue we have had, and this was at one of our bash sessions where we were jumping and landing on concrete, was we popped open the ESC, and I believe busted one of the little tabs that holds it together. Nothing a little shoo goo and packing tape couldn’t fix! Besides that, this truck has been able to hang out with all the other vehicles in the bash scene no problem. The only disadvantage here is that it’s not waterproof like the other major short course truck on the scene. If you don’t find yourself out in the rain/snow very often, then this should not be a deal breaker for you. If you do find yourself wet and in the puddles, it is something to consider. The only other complaint I have, and while I know it’s also popular these days to do, I’m not a fan of the way the battery mount is held down by thumb screws. I know it’s a trend, and while it works great in theory, when we are out bashing, we tend to loose things… and if I loose one of these, I don’t have another just ‘lying around’ like I would a body clip. This is more of a personal thing then a actual problem. To wrap up the review, the HPI Blitz looks amazing, handles great on the track, and has been able to take as good of a beating as the next guy. 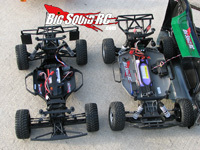 If you are a short course fan looking for your next vehicle, make sure to consider the HPI Blitz! Time To Bash – 9.5/10 – Add batteries, and go. Workability – 9.0/10 – The truck is simple to work on, not a lot of hop-ups on the market yet. Car Show Rating – 10.0/10 – Great paint job, great realism! Bash-A-Bility – 8.5/10 – Bashing has been good. No major flaws or easy break points found! Would like to see water proofing. 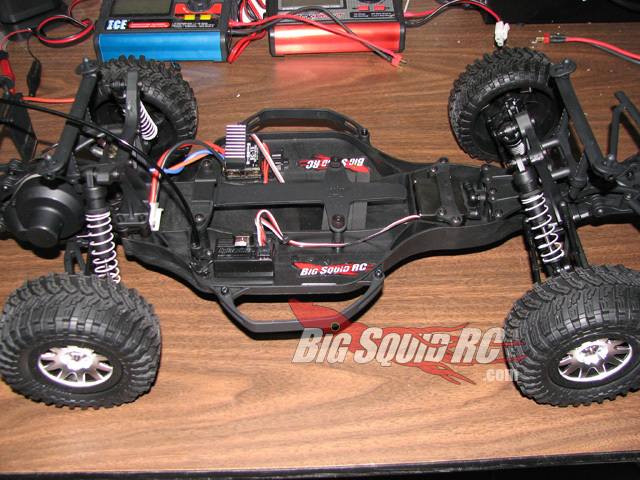 Big Squid Rating – 9.0/10 – Tentacles.. It’s a great short course truck! Handles amazing out of the box and looks awesome! 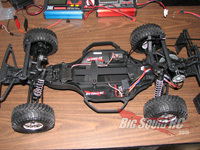 Click here to see all of our HPI Bltiz un-boxing pictures we have posted. 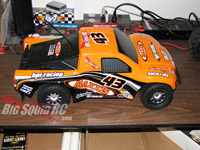 For those that want to see it next to a Traxxas Slash. The Blitz is on the left, Slash on the right.